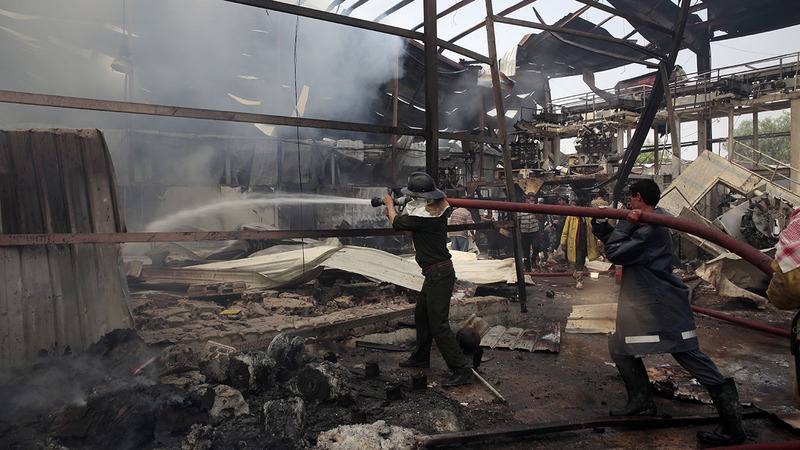 YEMEN -- A Yemeni factory official and two medics say a Saudi-led airstrike killed 14 civilians working on an overnight shift in the capital, Sanaa. The official and the medics spoke on condition of anonymity for fear of retributions. The heavy bombardment comes on the heels of failed U.N. peace talks in Kuwait between Yemen's internationally-recognized government and the country's Shiite rebels known as Houthis. Rebel spokesman Mohammed Abdel-Salam says the Saudi-led coalition has also closed the airspace over Sanaa, preventing the rebel delegation's plane from reaching the capital. Since the start of the two-year war, the Saudi-led coalition has been in control of the airspace over neighboring Yemen.